Transport for London’s (TfL) requirement since 2017 has been to conduct estate wide Space Utilisation Surveys (SUS) to inform their current space allocation and utilisation. 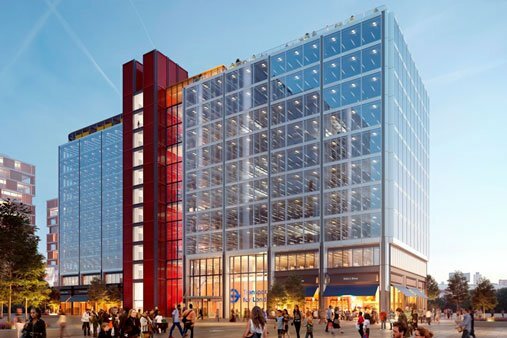 This was to allow for a planned consolidation of their fragmented estate and relocation of workspaces to a purpose-built workspace in Stratford, London. A key focus of the surveys was to help TfL understand the ratios of teams:space required for the new building. The SUS conducted formed part of their internal restructure and enabled TfL to move to agile working. The project was driven heavily by a very complex interlocking relocation plan, which meant tight timescales with no option for over run. The complex organisation structure, which they were in the middle of restructuring, meant a lot of time was spent looking at who belonged to which team and where that team worked. Highly confidential areas as well as secure areas such as control rooms where within the survyer remit. Access to these areas required additional security screenings and checks to be performed on our auditors. All 14 buildings in the TfL estate were surveyed, highly granular detail was collected down to the team level and the exact use of space. We collected data from peak times during the working day (10am – 4pm). Aberley also ascertained the utilisation of meeting rooms and bookable space. Informing on this aspect of their workplace allowed TfL to utilise their spaces better and improve their internal systems for booking meeting rooms and work space. Our data was also used to inform the end user, meaning we had to provide our data in a digestible format accessible for all end users. Leading on from this piece of work, Aberley were then asked to provide Programme and Relocation management services. Aberley and TfL formed a productive working relationship which lead to a joint event, showcasing their new building – Endeavour Square. Detailed analysis of data, focusing on key areas of the organization. Aberley managed a complex and challenging survey programme, directly supervised by on of the Aberley directors.